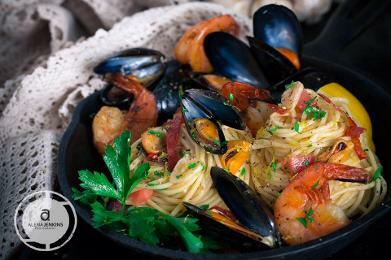 Let me bring an authentic taste of Italy to your home! 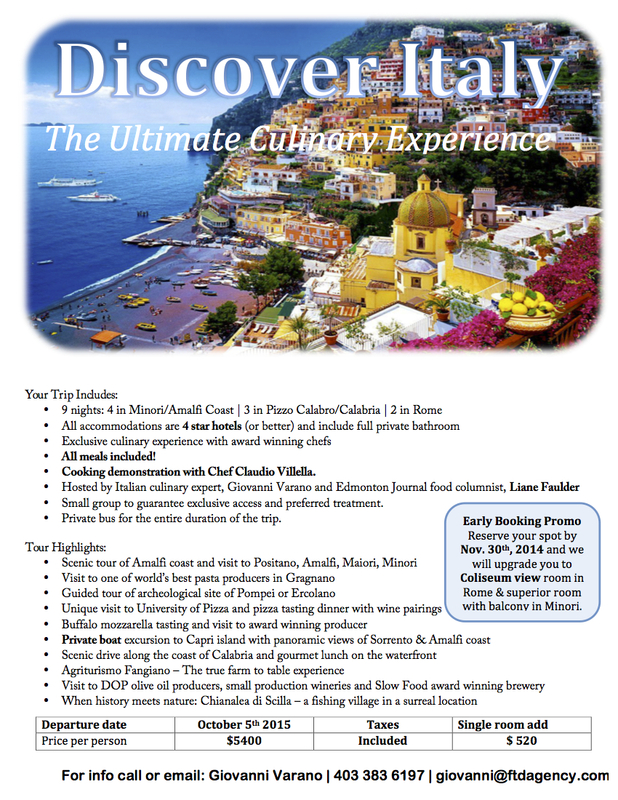 If you want to experience the top of Italian food and wine, I can organize for you the trip of a life time! Top quality accommodations, cooking classes, wine tours, Michelin stars restaurants are the ingredients of this incredible adventure. 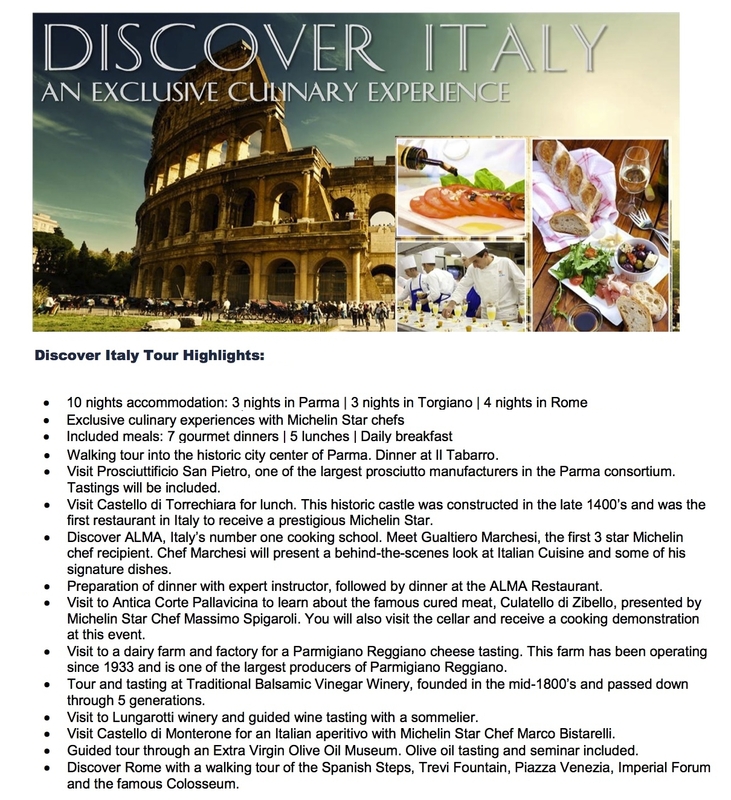 Ask for a private programme for 2 to 6 people or join my Annual Escorted Culinary Experience - Discover Italy - where I come along and show you my Country. Delight yourself with a delicious Italian meal for your dinner parties or provide an exciting buffet for a special occasion. I can organize a fantastic wine tasting dinner: a night to remember spent exploring the culinary delights of Italy and its wonderful fine wines! I cater for small groups and private exclusive functions to provide a unique and memorable experience. All menus are personalized according to your taste. The food I prepare is made with natural, fresh and top quality ingredients. Let me know if you have dietary restrictions - and I will help you find just the meal you want. 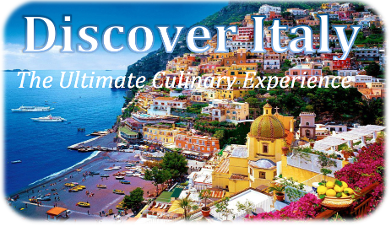 My goal is to offer you authentic modern Italian home cooking preparing delicious food to make any meal special and any special occasion unforgettable.